BRISTOL, Pa. (WPVI) -- Charges have been filed against the suspect in a fatal hit-and-run in Bristol, Pa., but the man is believed to have fled the country. Ali Hakan Cifter, 35, of Levittown is facing a number of charges including homicide by vehicle and reckless driving. The Bucks County district attorney's office said on Friday that Cifter was allegedly racing on Route 13 near Corson Street back on December 19 when he struck and killed a bicyclist, identified as Kevin Williams Jr., 52. 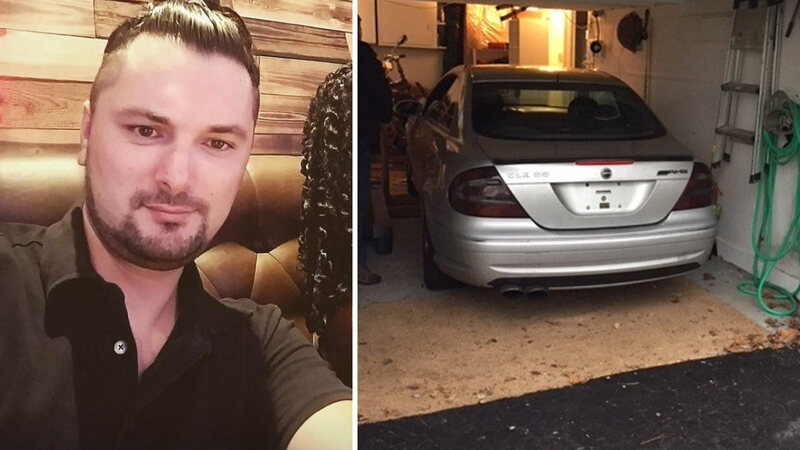 According to investigators, Cifter drove his damaged Mercedes home, parked it in a garage and told his roommate he had struck a deer. On December 23, authorities say the roommate contacted police about the location of the Mercedes, but by then Cifter is believed to have boarded a plane bound for Serbia. Two days after leaving the United States, Cifter allegedly contacted a Bristol police sergeant and confessed to his involvement in the crash. He allegedly told police the victim jumped out in front of him, and he left the scene because he was scared. He also allegedly admitted he was racing another driver at speeds in excess of 70 mph. On December 24, authorities allege Cifter sent an email to the sergeant, again admitting to his involvement in the crime. The Bucks County district attorney's office said it is working with federal authorities to have Cifter extradited to the United States for prosecution. Anyone with information is asked to call Sgt. Peter Faight at 215-788-7813, ext. 2429.